The new set will usher in the Year of the Mammoth. After weeks of speculation and anticipation, Hearthstone‘s newest expansion was finally revealed on Monday. In just over a month 135 new cards will be added to the game, bringing new mechanics, new minion types and whole new ways to play Hearthstone. At the same time as the expansion is released, 214 cards will move from Standard into Wild to completely transform the game’s main format. So far just a handful of cards have been revealed, along with the major mechanics and some other details of the set unrelated to the cards themselves. So far, just four cards from the set have been officially revealed. 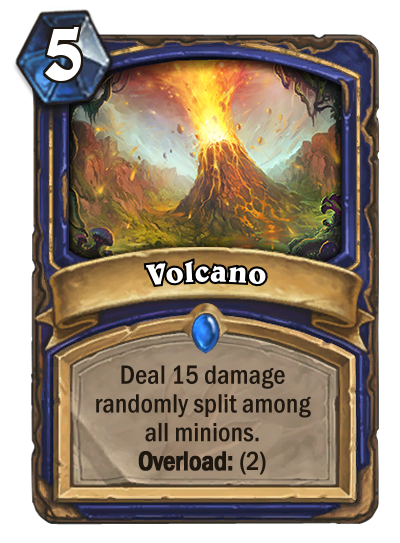 The first card to be unveiled was Volcano, a five mana spell for Shaman that deals 15 damage randomly to all characters. Hearthstone is always going to have crazy RNG cards and this one kind of takes the biscuit—but luckily the consensus is that this will not be viable in any kind of high level play. 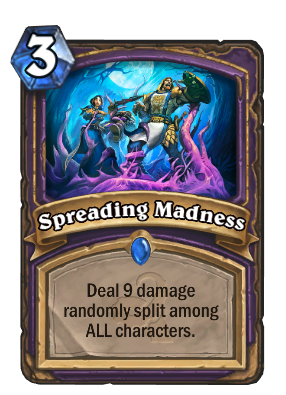 Spreading Madness, a three mana card with a similar effect, has never been popular. 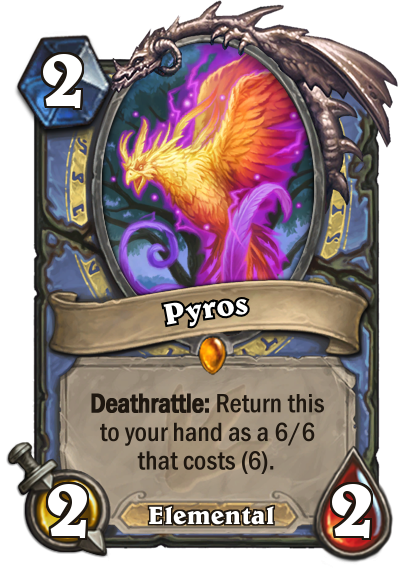 Next up was Pyros, the Mage legendary minion for the set. 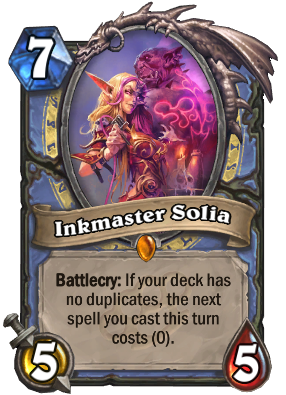 Sadly Mage continues its tradition of getting somewhat weak legendaries, with Gadgetzan’s Inkmaster Solia a notable exception. that has seen some play. 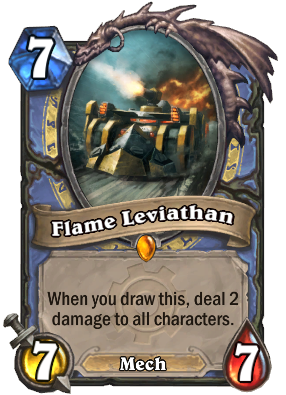 This could well end up more like a Flame Leviathan than Antonidas. The mechanic is interesting, but the stat line of a 6/6 for six or a 10/10 for 10 is just not good enough. 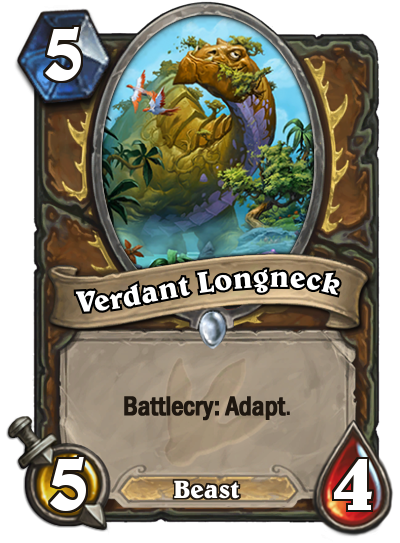 The final two showcased the set’s new mechanics: Verdant Longneck, and Awaken the Makers. 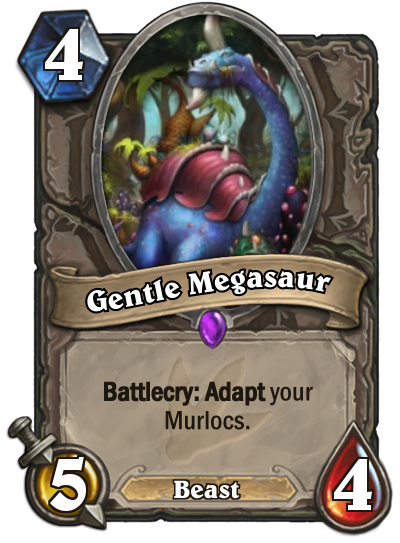 Since the first reveals another card has leaked, Gentle Megasaur, which applies an adaptation to all of your murlocs on board. Official card reveals will resume from March 17. The two new mechanics are very different. One is a twist on an established keyword, while the other adds a completely new way to build decks. Adapt will feature on an unknown number of cards in the set. It functions the same way as Discover, with Kazakus the best example—players are given a choice of three buffs to their minion from a list of 10. The 10 choices are +3 attack, Divine Shield, a Deathrattle to summon two 1/1 plants, Taunt, Windfury, +1/+1, +3 health, Stealth, Poisonous and adding that it can’t be targeted by spells or hero powers. Disover has often been described as “good RNG”, because it is only semi-automatic. Players have a strong amount of choice and influence over the outcome, and can therefore inject skill into the randomness. Adapt has a lot of players excited because of its incredible flexibility. The second mechanic is Quests. The first ever legendary spells, each class will receive one Quest card that costs one mana. When the card is played, it sets a goal for the player in that particular game. 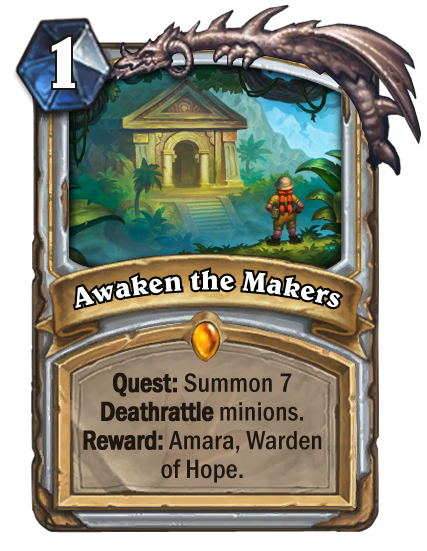 With Awaken the Makers, the goal is to play seven deathrattle minions. The details of the quest are revealed to both players and displayed above the hero portrait like a secret. When the quest criteria is fulfilled, the player is rewarded with something incredibly powerful. 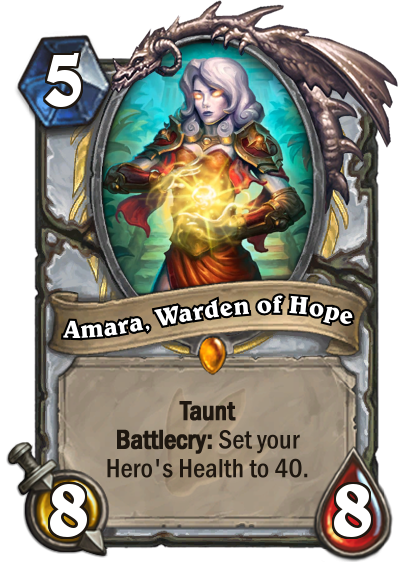 The reward for Awaken is Amara, Warden of Hope—a powerfully statted card with healing that makes Reno Jackson look impotent. It’s not all new cards though. Some other significant changes are coming as part of the expansion and the patch that has preceded it. You may have noticed that cards like Pit Snake and Emperor Cobra have had their card text simplified. Rather than these cards saying “Destroy any minion damaged by this minion” that text has now been simplified into a new keyword—Poisonous. When Journey to Un’Goro arrives, other existing cards will also get a change to their card text. Elemental is being added as an official tribe and will be a major part of Un’Goro‘s 135 cards. 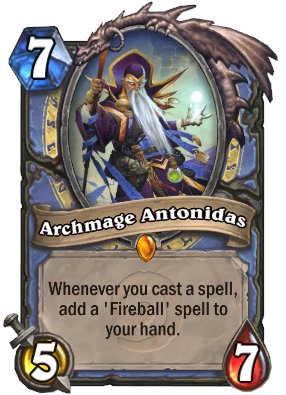 Some cards that are already in game will have the tag added to them, including Ragnaros the Firelord and Neptulon. As with all full-set expansions, a pre-order bundle is already available in game. Players can pre-order 50 packs at $49.99 or a local variation, and if you are planning on dropping money for a significant amount of packs it’s a deal you should jump on. Packs have never been reduced in price or put on sale in Hearthstone, so it’s the best deal you will ever get. Not only that, but pre-ordering will once again award an exclusive card back. 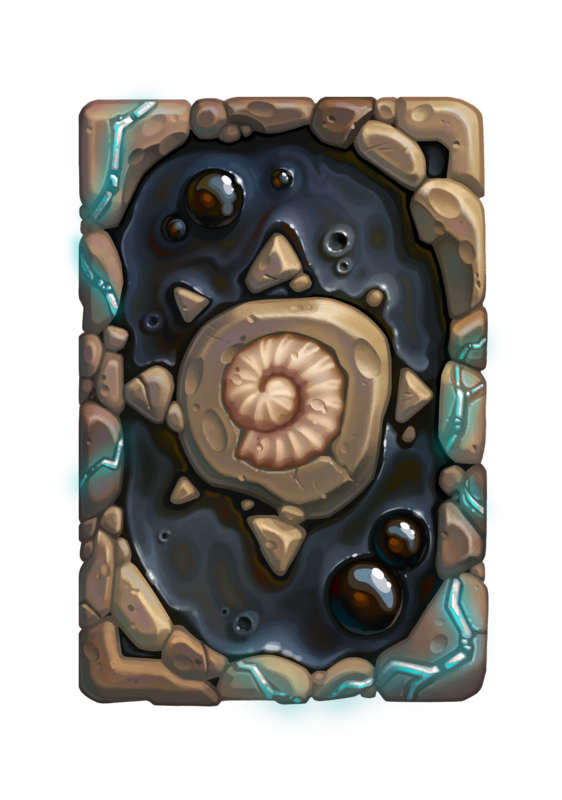 Further card backs themed to the expansion will likely be released in the months around the expansion as seasonal rewards. 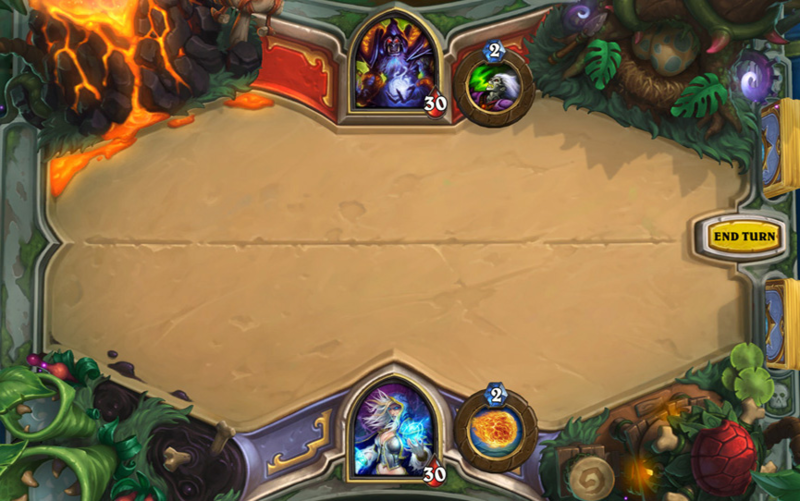 An Un’Goro game board is also on its way.